We had a huge snowfall on December 22nd. The remnants are still melting away, in spite of a few days in the 60 degree range (fahrenheit, or 15-20 c). 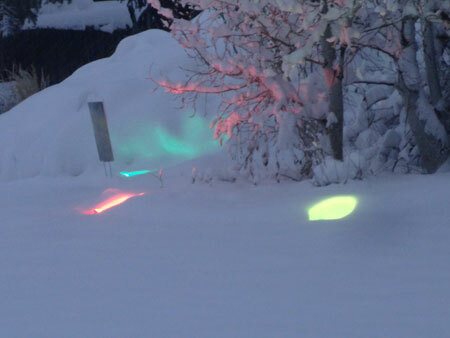 Since that was before Christmas, our neighbor had his massive light display on – even though some of it got buried in snow.